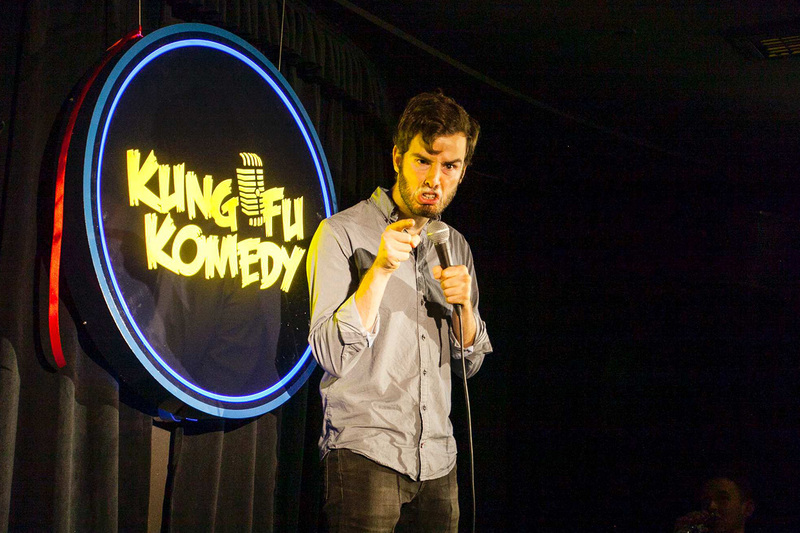 Comedy promoters and, for a lovely spell there, comedy club owners Kung Fu Komedy have laughed their last laugh in their fourth floor space: the club is closed. The space quietly shuttered about two weeks ago as some pressure was applied from up high, and it doesn't look like it will be able to recover. Will KFK, and main man Andy Curtain, come back in another form? Possibly. Maybe. Not in that location. I saw the man last night. He's gained a few more white hairs and not just in his mustache. How does this bode for other comedy promoters and venues around town? It's hard to say just yet but the current climate does not seem to bode well for those in the joke-telling business. For those of us who like to laugh, then, enjoy the comedy around town while you can.